This set contains two vases: 1x 80719 which is 18cm and 1x 80500 which is 21cm. The timelessly beautiful machine-made vase of the consistently linear designed glass collection Saphir enrich and prettify every day and every environment. The vase presents your flowers in a timeless and classic way. 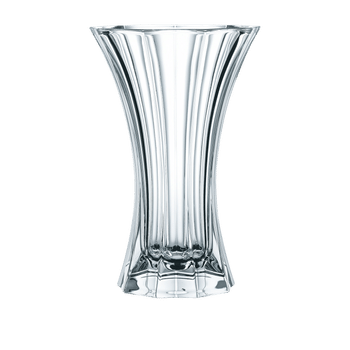 Saphir vases are made of brilliant crystal glass and captivate through elegant design. All around the world renowned restaurants use Nachtmann glasses and crystal ware for the setting table.